Sons of Dictators an Intractable Problem? Arab nations that succeed in overthrowing their dictators have to ensure that any future presidents, whether civilian or military, are never allowed to appoint their sons to vital positions, especially any military or police or security ones. It is not uncommon, even in real democracies, to find famous and influential political families. Good examples would be the Kennedys and the Bushes. In India we have Indira Gandhi and her son Rajiv, both assassinated. In Pakistan, there was former prime minister Zulfikar Ali Bhutto, who was hanged by General Zia, and then, several years later, his daughter Benazir Bhutto, who was to be elected prime minister. Later, during an election campaign she was assassinated. In the Philippines, the current president is Benigno Aquino, son of former president Corazon Aquino. Thus, when there is accession of a son or daughter, it is done through democratic elections. On the other hand, ruling families are extremely common in the non-democratic third world, the highest prevalence being in the Arab countries. In fact, there is a sense of entitlement to power in general and the presidency in particular. In the Arab kingdoms, or sultanates or emirates, this is not surprising, since the system is hereditary, and the whole concept is widely accepted. In Saudi Arabia, since it became a kingdom after the Second World War, the throne has been passed from one aging brother to another. Subsequently, a king does not rule for very long because he does not reach the throne until old age. Where the "throne" is passed to the son, as in the United Arab Emirates, the duration of rule could be quite long. Needless to say, daughters are never even considered in these matters. In the Arab republics, which are nearly all ruled by military dictators, the problem is quite different. Such military dictators are individuals who came to power by coup d'etats, and who have ruled for decades, the longest so far being Libya's Colonel Gaddafi for 42 years, followed by Yemen's Ali Abdullah Saleh for 32 years and Egypt's Mubarak for 30 years. Although they all run sham elections every so many years, they apparently keep receiving around 99 per cent of the vote! During these long periods of rule, they surround themselves by intricate, very loyal military and security systems that ensure their continuing rule in the face of any potential challenge. Who could be more loyal than their sons? These sons therefore find themselves, whether qualified or not, in positions of enormous power, such as Ahmed Saleh in Yemen, who commands the very powerful republican guard. But many of these sons do not even have to have such titles, let alone technical or military training. For example, in Iraq, the sons of Saddam, Uday and Qusay, were widely feared brutes who did exactly as they pleased, and who were being groomed to take over from Saddam one day. In the case of Egypt, Gamal and Alaa Mubarak chose to go into business, but wielded enormous influence without having to be military or security men. In Libya, Saif Al Islam Gaddafi, now famous for his threatening index finger which told Libyans that his forces would find them house by house, lane by lane and street by street; was supposedly educated at the London School of Economics, with a PhD under his belt. It is not clear in what capacity he was waving his finger at the Libyan freedom revolutionaries. 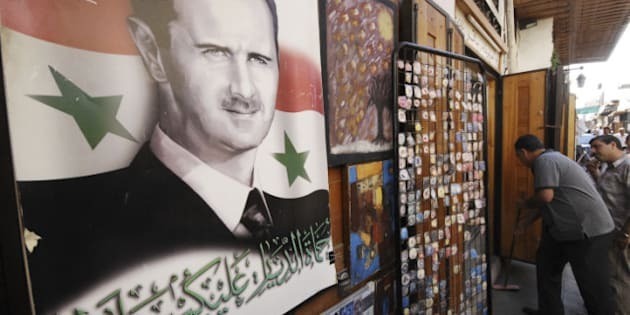 In Syria, Bashar al-Assad was only an ophthalmologist working in London when he inherited the presidency after the death of his father Hafez Al-Assad. And now he put his bother Maher in command of the armed forces. As we survey the evolution of the Arab Spring since January, it becomes clear, at least to me, that the regimes which had groomed the sons for presidency, and given them military and political titles have managed to survive much longer than those which did not. Compare, for example the tenacity of the dictators of Libya, Syria and Yemen, with the rapidity of the collapse of the dictators of Tunisia and Egypt. What future lessons can we learn from this? Clearly, Arab nations that succeed in overthrowing their dictators have to ensure that any future presidents, whether civilian or military, are never allowed to appoint their sons to such vital positions, especially any military or police or security ones. Indeed the new constitution should have a special clause against nepotism, and it should be applied most strictly to all future presidents.